Do You Think I Can Get Better at Singing? I really cant sing,my voice sound like i have a cold,but i love to sing,do you think i could get training to better my voice.I really have an awful voice. I think most anybody can get better at something they’re passionate about if they’re willing to put in the hard work and find the right guidance. 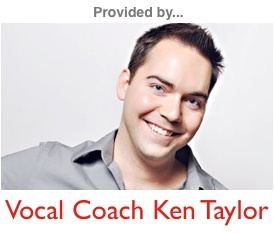 If you’re looking for help online, check out http://singingtipsblog.com or http://youtube.com/vocalcoachkentaylor for more guidance. If you’re wanting private singing lessons, I’d find a coach in your area that has a good reputation, or work with a higher end coach online via skype lessons. They’re not always cheap, but they’re often pretty darn good (I’ll be starting up offering skype lessons here in the future, but presently I do not). Regardless, if you want to sing better, there’s no doubt in my mind that you can. It’s just about finding the right guidance and putting in the work to change. That being said, I wish you the best of luck along your singing journey.